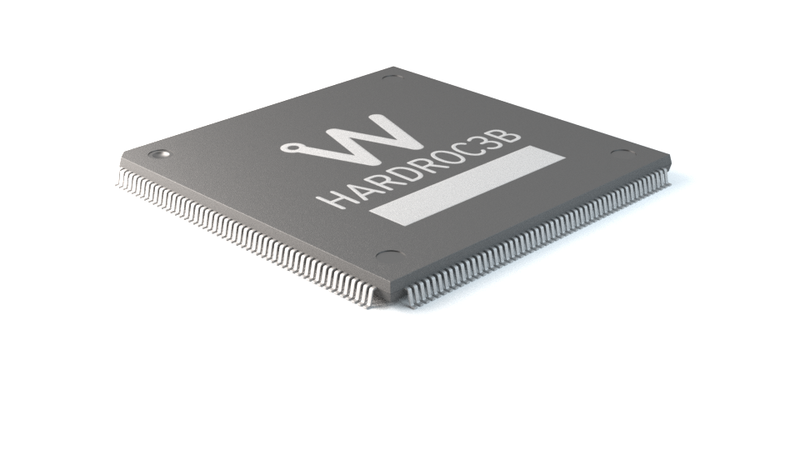 HARDROC 3B is a 64-channel front-end ASIC designed to readout negative fast (<1ns) and short (<10ns) current pulses from various detectors (Resistive Plate Chambers, Multi Anode Photo Multipliers, …). HARDROC 3B provides a semi-digital readout with three thresholds tunable between 10 fC up to 10 pC and integrates a 8-depth digital memory per channel to store the 2 encoded outputs of the 3 discriminators upon channel trigger. 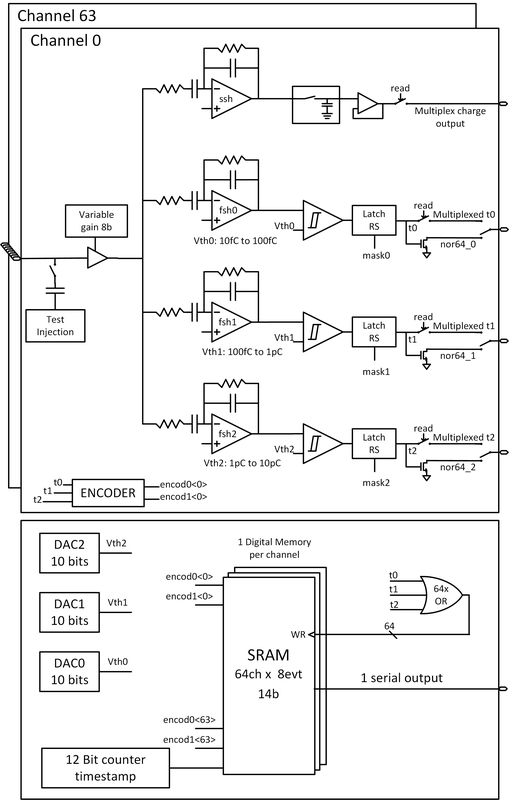 The three thresholds are set by three integrated 10-bit DACs. The gain of each channel can be tuned individually from 0 to 2 over 8 bits, allowing the compensation of non-uniformity between the 64 detector channels. Each channel is trigger-wise independent and can auto-trigger on signal down to 10 fC. A multiplexed charge measurement allows linear analogue measurement up to 30pC. The power consumption is 2.5 mW/channel and the chip can be fully power-pulsed allowing a significant power reduction by disabling unused blocks.